Discovering you have one or more birds in your house can be nerve wracking. After all, they have the ability to fly quickly and can fit into incredibly small places, making it difficult to keep tabs on where they are, let alone to actually catch them. Fortunately, you don’t have to stage a massive pigeon removal by yourself - ACS Animal Removal is here to help with carefully planned, professionally executed bird removal in Cincinnati, OH. With 25 years of experience in bird proofing and wildlife removal, our bird exterminators know exactly what works and what doesn’t when it comes to getting birds and other critters out of your home safely. There’s no hiding spot we can’t find and no entry point we can’t close up in an effort to make your home clean, safe, and wildlife-free again. Our methods of removal are efficient and humane, and once they’re gone, we’ll set up deterrents like bird netting to ensure they can’t come back and wreak havoc again. In addition to our bird removal and pigeon proofing services, we also specialize in the control and removal of bats and other unwanted wildlife in your home. No matter what sounds you’re hearing from the attic, no matter what level of damage you’ve seen to your home from unwelcome animal guests, we can have your house back under control in no time. In every service that we provide, we value our customers’ time and property, and we strive to earn your complete satisfaction in all that we do. 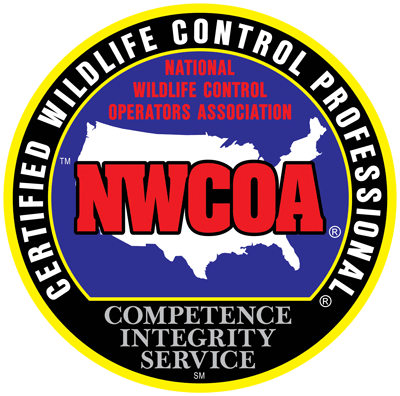 Please contact us today if you suspect that you have nuisance wildlife anywhere in your home. The sooner we can get out there, the sooner we can rid your home of the animals, their droppings, nest materials, and get started on repairs to any damage they may have caused upon entry.